Providing you the best range of jack rod with effective & timely delivery. 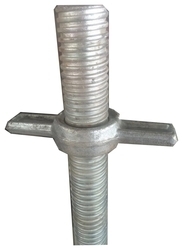 A jack is a mechanical device used as a Jack Rod to lift heavy loads or to apply great forces. A mechanical jack employs a Jack Rod for lifting heavy equipment. Looking for Jack Rod ?